Mar. 17 - 19 | Buy 1 Get 1 Free Drinks @ Kung Fu Tea - KTown LA - EAT WITH HOP! 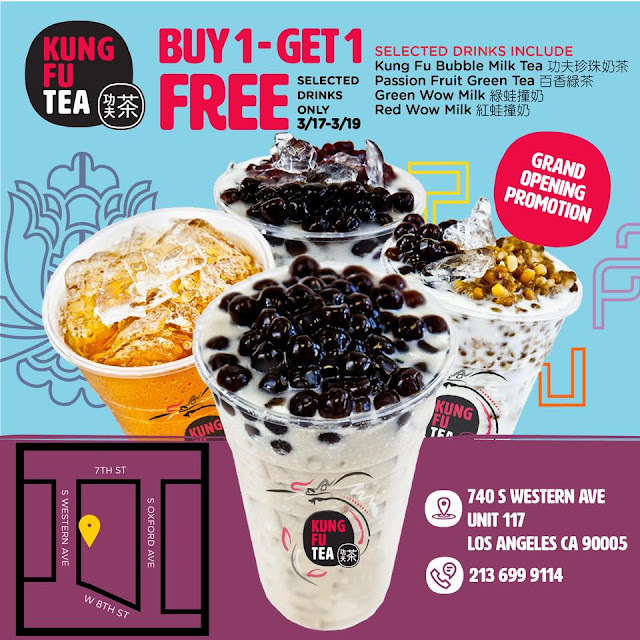 Kung Fu Tea is expanding and opening a new location in Korea Town, Los Angeles! They are going to have a BUY 1 GET 1 FREE promotion this upcoming weekend! Drinks are usually around $3-$4 so buy 1 get 1 free would make it like around $2 or less, each!